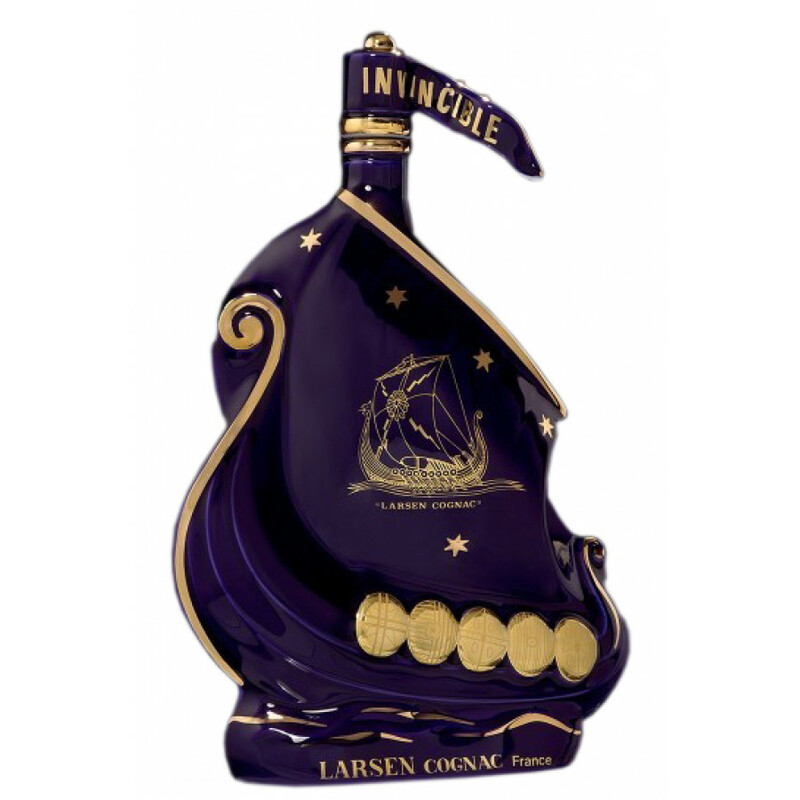 The Larsen Viking Ship Night Blue Cognac is one of the collection of distinct decanters produced by Larsen. In a decanter that's been unchanged since 1952, this Fine Champagne cognac is a delight for both the cognac lover and collectors of objets d'art... Made by the world famous Limoges Porcelain and hand finished in 24 carat gold, this is certainly a talking point. The cognac housed within this classic decanter is smooth, round, aromatic, and - as one would expect of a a blend from the 2 premier growing regions in the whole of Cognac, a delight to taste. Aromas and taste of black pepper, raisins, and dark chocolate truffles. Good rancio.